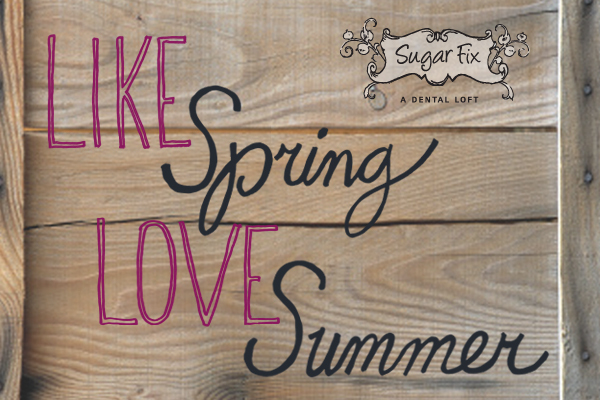 The team at Sugar Fix Dental Loft is amped for Summer and wants to share the love! We're giving away a professional KOR whitening experience, and a Sonicare toothbrush, for a white hot smile that will look sick with a summer tan. Now for the details. We put together a snappy contest to spread some summer swag. You will be spontaneously entered to win, by simply "liking" us on Facebook. Want to work overtime? Mention us on twitter, or check in on Facebook, and get yourself thrown into the pool each time you do so. The drawing will take place, and the big winner will be announced, via Facebook, July 20th, the first day of Summer. What good is a hot smile, with bad hair and no place to go? Enter Salon Sanjoy, and Frasca Pizzeria and Wine Bar. These guys are great, and were kind enough to add some heft to our giveaway. The lucky winner will receive a cut, single process color, blow out, and products from Salon Sanjoy. And, a delicious dinner for two, compliments of Frasca Pizzeria and Wine bar. Now that's neighborly love! In addition to all this, we added some local favorites to the mix. Think historic German bakery and a little coffee shop out of Seattle. We rely on these folks to keep us charged up on long days, creating beautiful smiles. All told, our "Like Spring, Love Summer" giveaway boasts more than $1500 in products and services. "Like" us this Spring, and you just may "love" us this Summer.